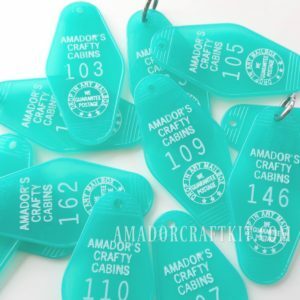 Amador’s Crafty Cabins Key Tags are little vintage touch to our crafty journey. 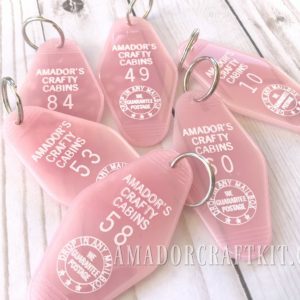 These aqua vintage inspired key tags will come with a metal tag ring to attach to your keys or even a purse or link to other items just for fun. They are a start to maybe one day hosting classes! 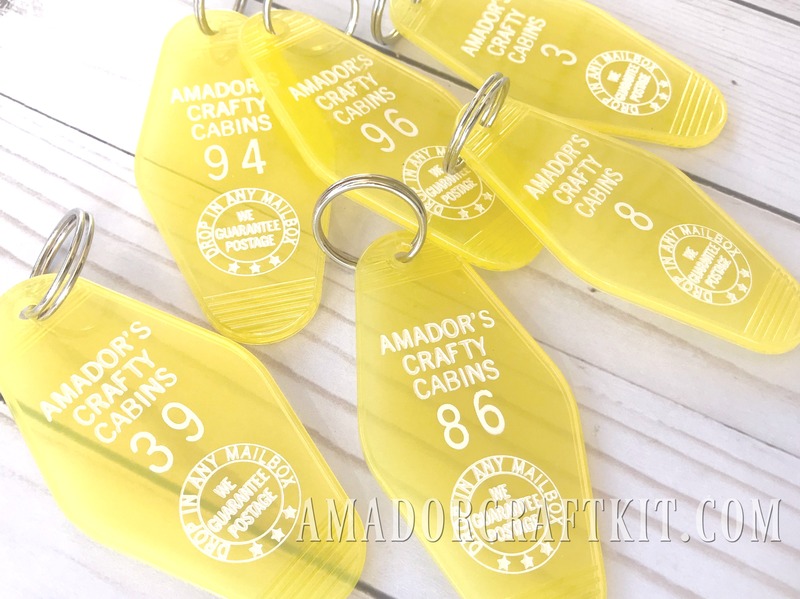 Amador’s Crafty Cabins Pineapple Yellow Key Tags | I have been very excited about these key tags for Amador’s Crafty Cabins Key Tags and have been excited to share them with you. I hope to soon host classes and wish I had cabins for crafty retreats. But until then here are the neatest key tags for my Crafty Cabins! 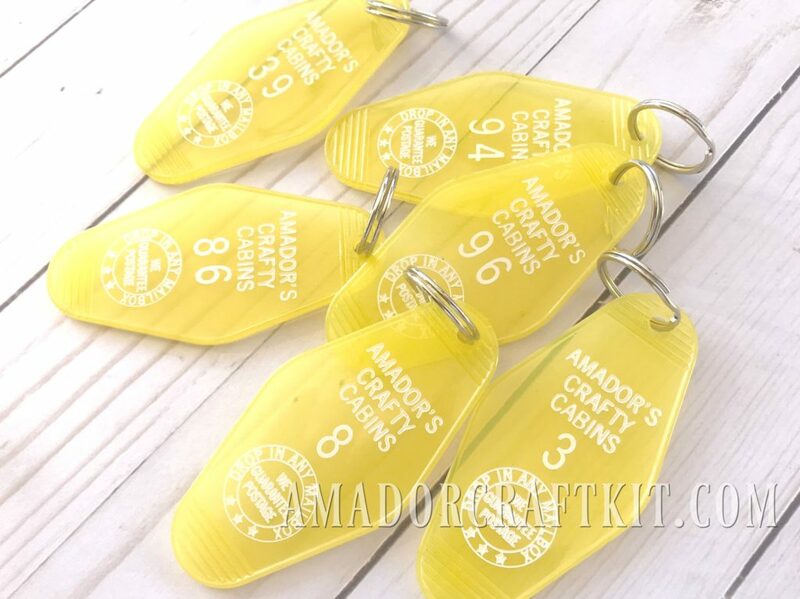 These yellow key tags will come with a metal tag ring for you to easily add them to your keys or even purse. Each tag is individually numbered. None of the numbers are repeated in this series. Each key tag will be selected randomly when ordered. The yellow color makes me think of Disneyland’s Pineapple Dole Whip! Each key tag will be packaged individually with a mini Thank You card and or business card. This will protect them from damages while being shipped. 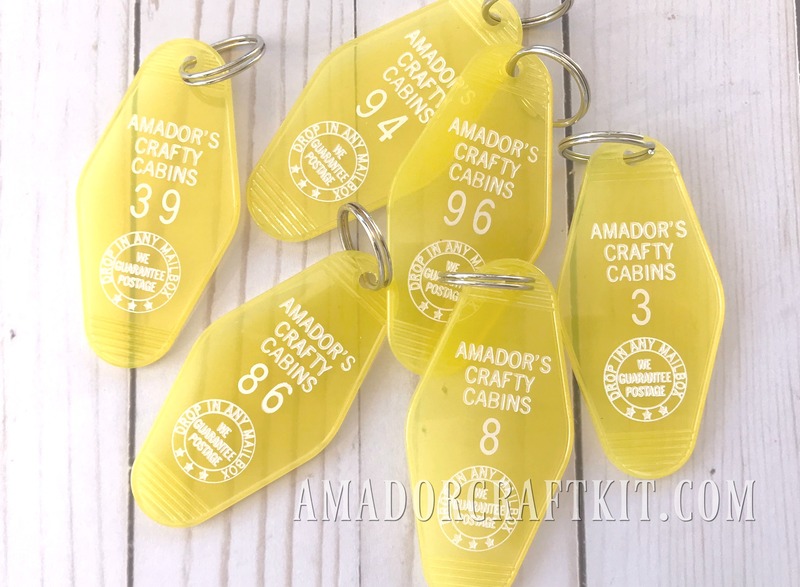 FYI: If you make a purchase of $25 or more (shipping not included) in the store you will be receiving one of Amador’s crafty Cabins key tag as a gift with purchase while supplies last. The purchase can be of any item(s) in the store that the cost will accumulate to $25 or more prior to shipping costs. You will not need to add the key tag to your cart since it will be automatically added to your order when it is processed while supplies last. These key tags will be sold individually until supplies last.